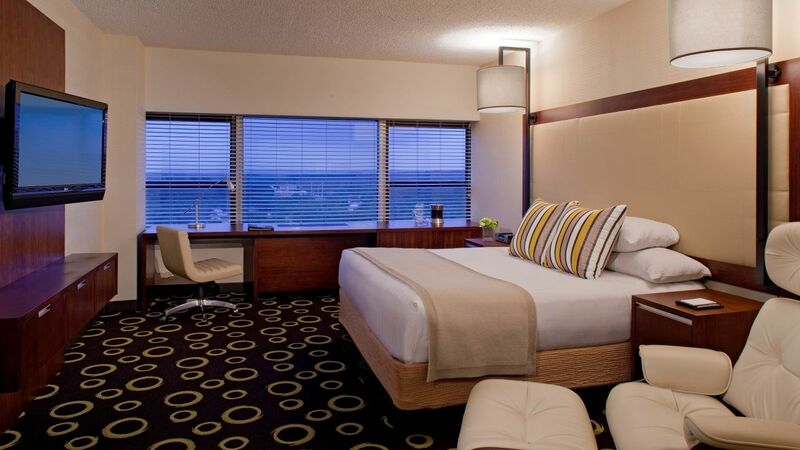 Hyatt Regency Morristown offers 256 rooms and suites with modern furnishings and technology enhanced features that will make you feel right at home. 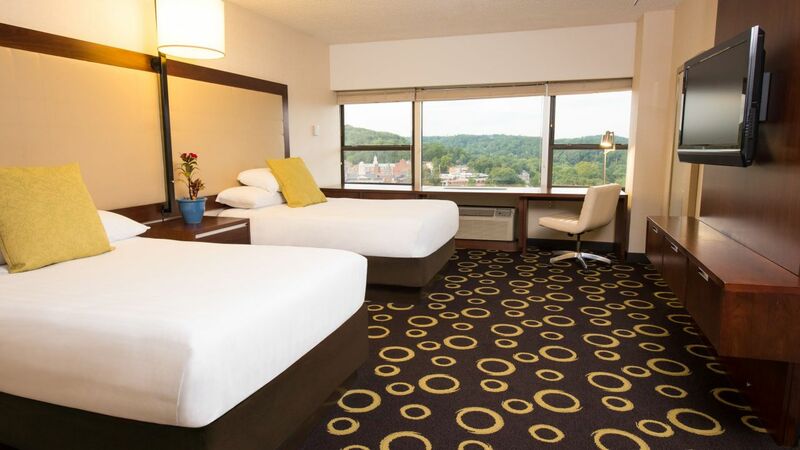 All of our inviting hotel rooms in Morristown, NJ, feature plush Hyatt Grand Beds®, 55” flat-screen TVs, and a refrigerator. You will also find an oversized work space and free Wi-Fi, for easy work flow, and a luxurious bathroom to unwind. Upgrade to one of our View Suites and enjoy cool sights of the city and Morris County. Indulge in this 875 sq ft top floor suite with one Hyatt Grand Bed™, sophisticated decor, bar-like area with refrigerator and microwave, and Bose stereo. This is a premium suite. See World of Hyatt program terms for upgrade eligibility. Spread out in this 850 sq ft suite with one Hyatt Grand Bed™, connecting room option, sitting area with pullout sofa, and stunning panoramic city views. This is a standard suite. See World of Hyatt program terms for upgrade eligibility. 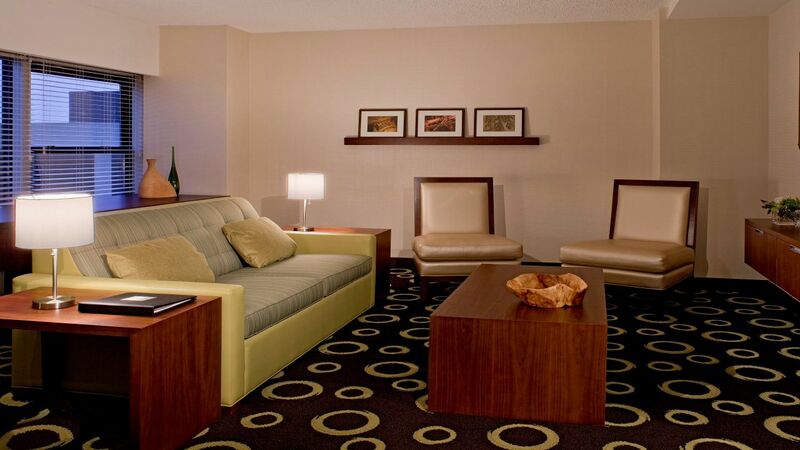 Make yourself at home in this 475 sq ft suite with one king Hyatt Grand Bed™, a separate sitting area with a pull-out sofa, and built-in wall-to-wall desk. 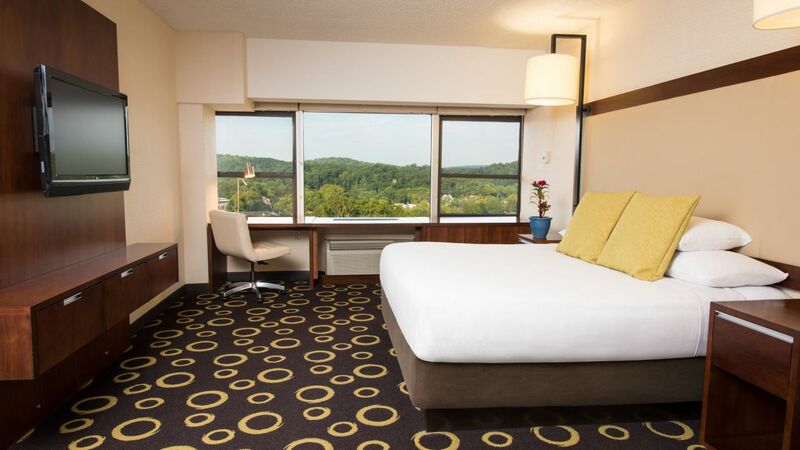 Take in the views from this 400 sq ft top floor room with one king Hyatt Double Bed™, contemporary furnishings, luxurious bath, and over-sized workstation. Enjoy premier views from this 400 sq ft top floor room with two double Hyatt Double Beds™, contemporary furnishings, luxurious bath, and over-sized workstation. Relax in this 400 sq ft room with one king Hyatt Grand Bed™, contemporary furnishings, spectacular city views, luxurious bath, and over-sized workstation. Settle into this 400 sq ft room with two double Hyatt Grand Beds™, contemporary furnishings, spectacular city views, luxurious bath, and over-sized workstation. Feel at home in this 400 sq ft ADA room with one king Hyatt Grand Bed™, contemporary furnishings, city views, accessible tub, and over-sized workstation. Rest peacefully in this 400 sq ft ADA room with one king Hyatt Grand Bed™, contemporary furnishings, city views, roll-in shower, and over-sized workstation.